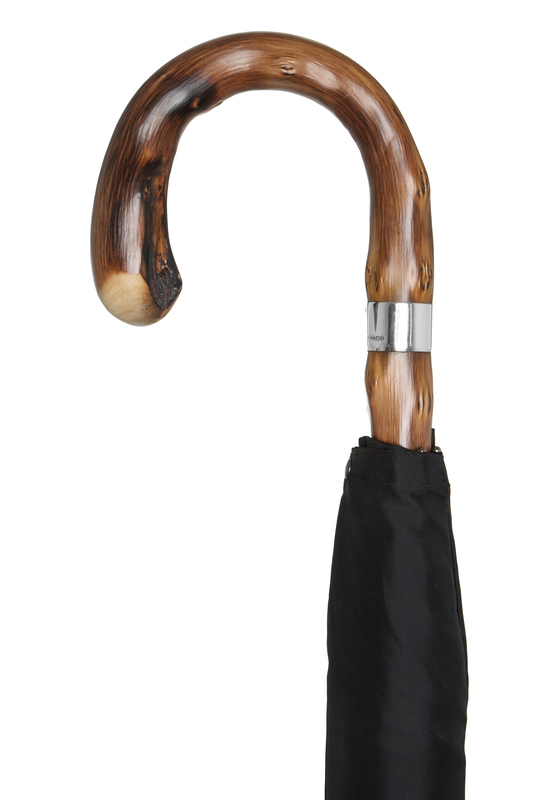 Handmade using a single piece of peeled chestnut, this striking umbrella is a reliable companion on rainy days. 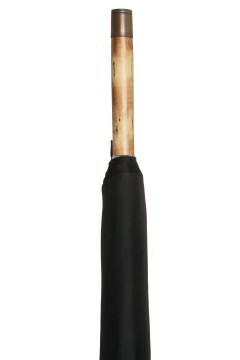 The wood is pierced as it grows resulting in a textured surface and there is a distinctive root on the nose of the crook. 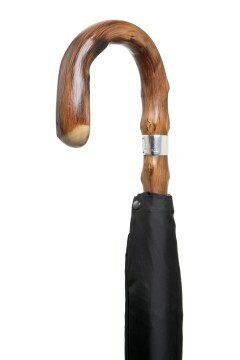 The handle is lightly scorched to emphasise the grain of the chestnut and finished with a Sterling silver lap band. 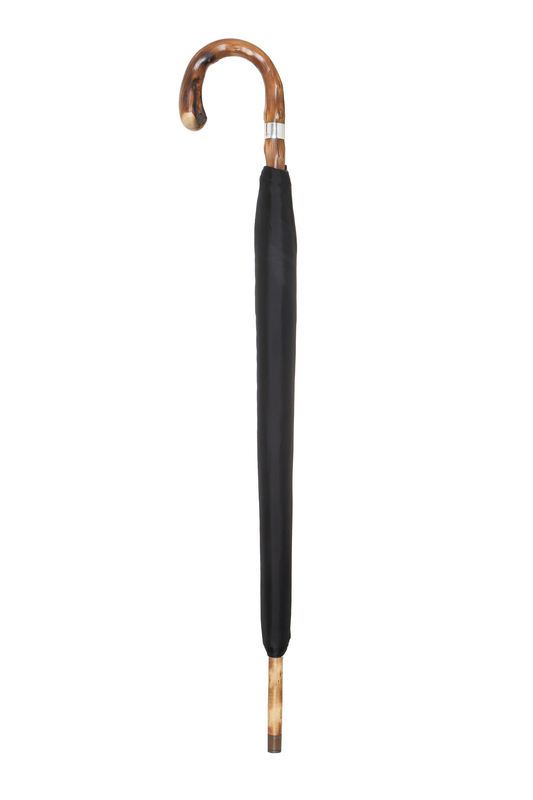 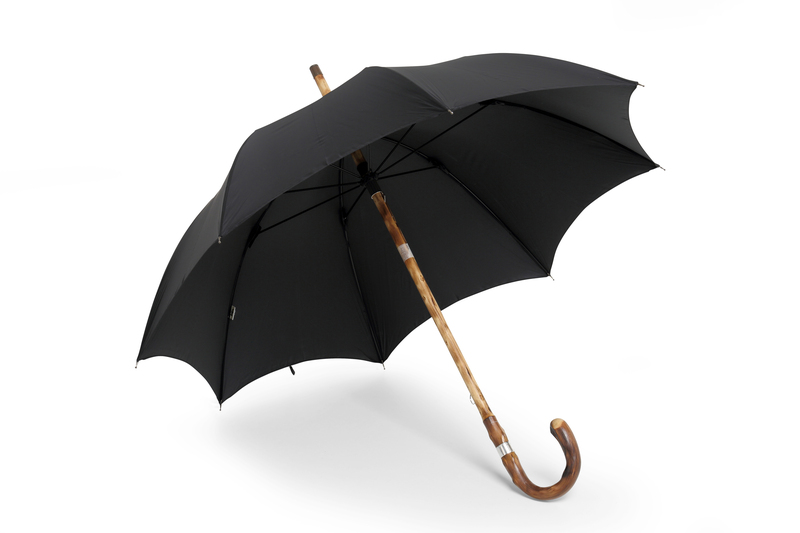 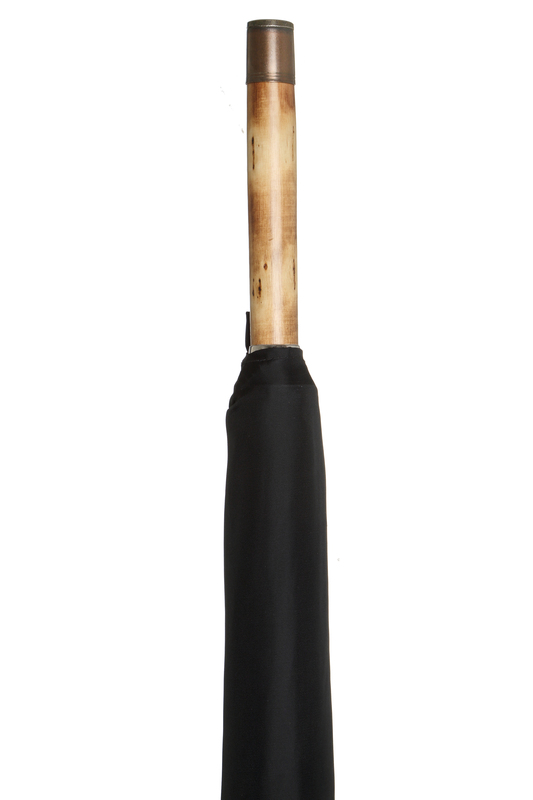 The umbrella will be adjusted to the correct length for the intended user and finished with a brass ferrule.